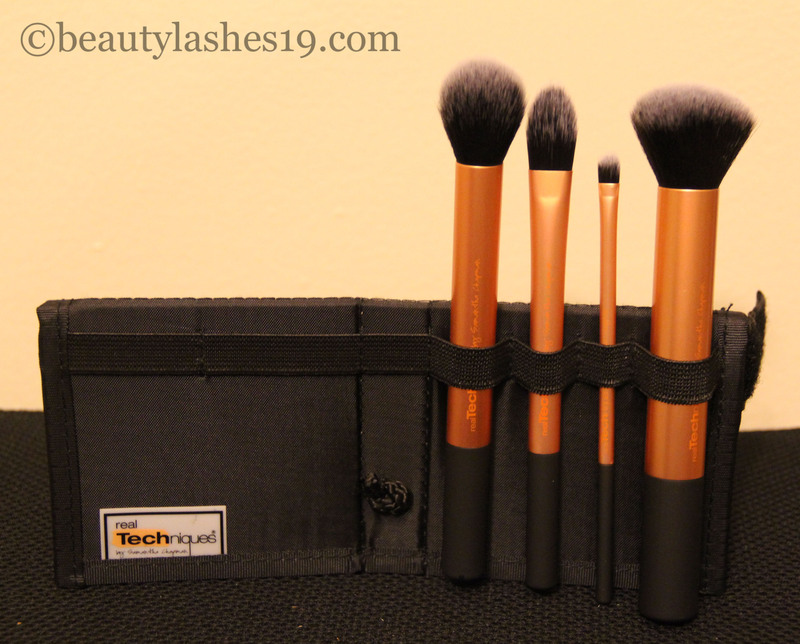 Real Techniques Core collection brush set..
Contour brush – The tip of the brush makes it excellent for applying cream/powder contour/bronzing product… It can also be used to apply highlighter to the high points of the face.. 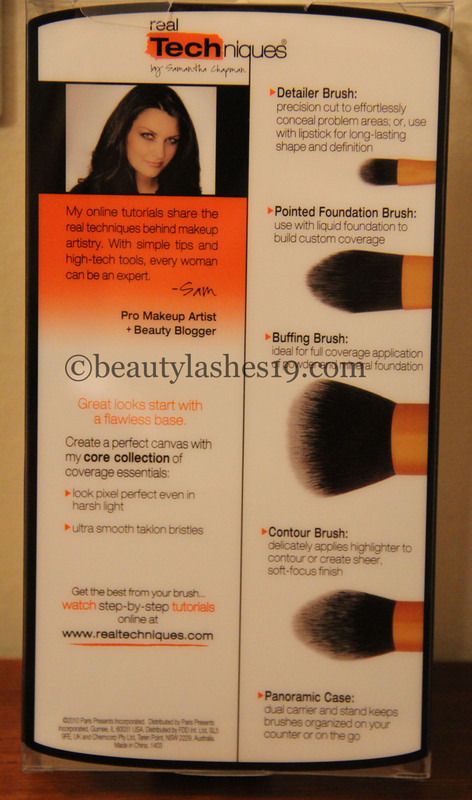 Pointed foundation brush – This brush is recommended for use with liquid foundation.. However, I find it too small for that.. I find it more appropriate to use this brush for applying concealer to large areas of the face such as under the eye (triangle area), around the nose & mouth, applying cream highlighter..
Detailer brush – It can be used as a concealer brush or as a brush for applying lipstick.. I predominantly use this brush to apply concealer around my lips after applying lipstick, for applying eye shadows on my lower eyelid and for adding highlight to the inner corners of my eye (tear duct area)..
Buffing brush – Recommended for powder/mineral foundation.. However, I absolutely love it for buffing on liquid foundation..It gives the most flattering, blended look no matter how thick the foundation is..
All the brushes are made of soft, synthetic taklon bristles and are 100% cruelty free..
My favorite brushes from this kit are the contour brush & the buffing brush.. I have purchased two of this set just for these brushes! This set is well worth the price.. The kit comes with this practical travel friendly case that I often use for travel since the Real techniques brush handles can get quite bulky to fit into regular brush rolls.. 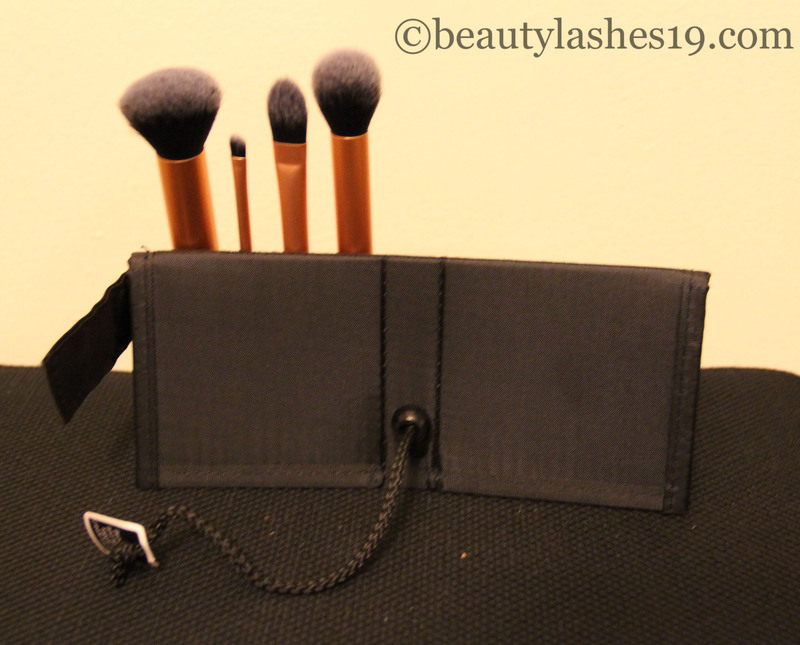 So, this makes for a good travel companion… But I have never used this case for holding my brushes.. primarily because the elastic on these is so tight that each time I need a brush, I would need one hand to hold down the case and the other to pull the brush out! 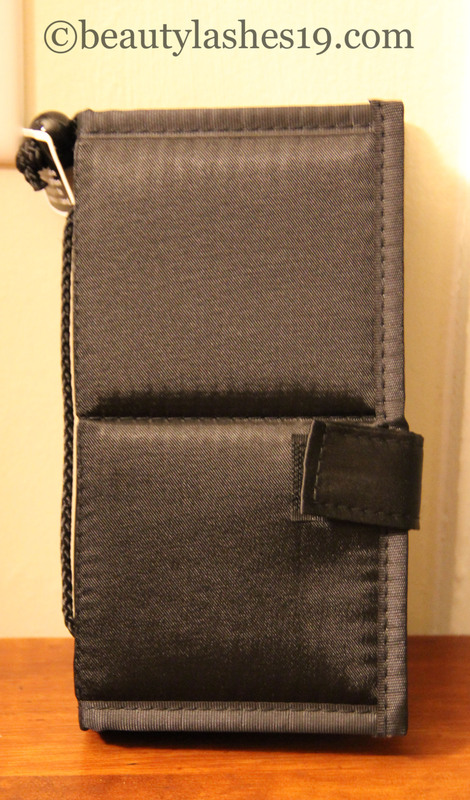 So, while the tight elastic is a boon for travel, I do not see myself using this case as a stand.. 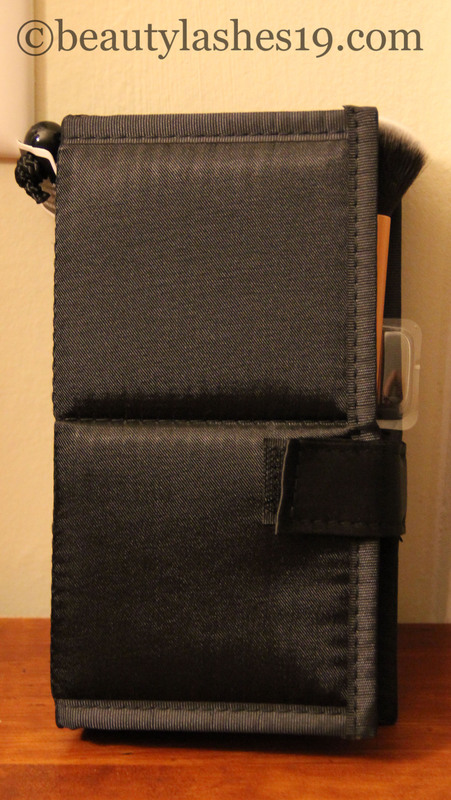 The brush case on its side to form a brush stand.. just gotta tighten that string to hold it in place..